Jarrett Bay owners are more than just customers, or even business partners. You become part of our family of craftsmen, owners, brokers and captains, folks who live and breath sportfishing boats. Like any good family, we stay connected, supportive, and ready to help, even when there’s distance and time between us. The ties that bind develop quickly in the process, as you work closely with our design staff, sharing your specific needs and wants. As your dream starts to be realized, you’ll interact with those responsible for executing the details that make your new Jarret Bay as unique as you are, from interior designers and construction foreman to propulsion specialists and electronic systems experts. There is no mysterious “they”—as in, “that’s the way they do it”—involved in the construction of your new yacht. You are privy to what’s happening and know the name of whose making it happen. 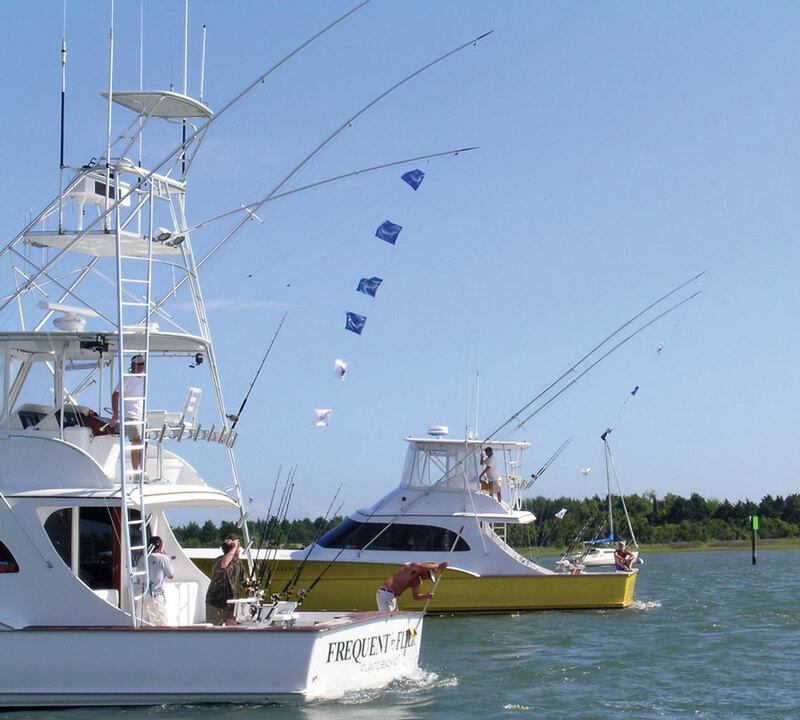 After delivery, you’ll find Jarret Bay family members most anywhere fishing and cruising takes you. Need parts or service in a remote Caribbean port? Have a systems problem two years after delivery? Need a haul in New England…today? Our commitment to your boating experience, our desire to keep you in the family, and our extensive network of contacts, boatyards, and suppliers are just some of the reasons most of our owners are on their second or third Jarrett Bay. We look forward to helping you get the most out of boating and welcoming you to the family.